Sneakers with a crepe sole? Yeah, kid — we&apos;ve got all kinds of innovation these days. 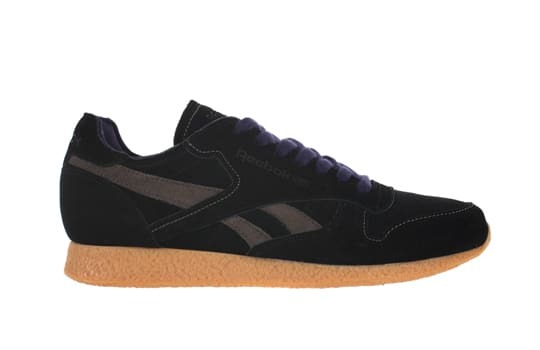 Reebok re-works its heralded Classic silhouette, featuring a black suede upper, accented with hits of dark grey, and donning purple laces and lining. Oh — and did we forget the aforementioned crepe sole? Our bad. Look for the Classic runner through such accounts as colette.